by Glynn, Alan, 1960- [author.]. Material type: Book; Format: print ; Literary form: Novels Publisher: London : Faber, 2009Availability: Items available for loan: Waverley LibraryPlus [Call number: GLYN] (1). Blink of an eye / Cath Staincliffe. Publisher: London : C & R Crime, 2013Availability: Items available for loan: Kaponga LibraryPlus [Call number: STAI] (1). Edition: Large print ed. Publisher: Long Preston : Magna, 2013Availability: Items available for loan: Hāwera LibraryPlus [Call number: STAI] (1). Coming back / David Hill. by Hill, David, 1942- [author.]. Material type: Book; Format: print ; Literary form: Novels ; Audience: Adolescent; Publisher: Wellington, N.Z. : Mallinson Rendel, 2004Availability: Items available for loan: Stratford [Call number: HIL] (1). 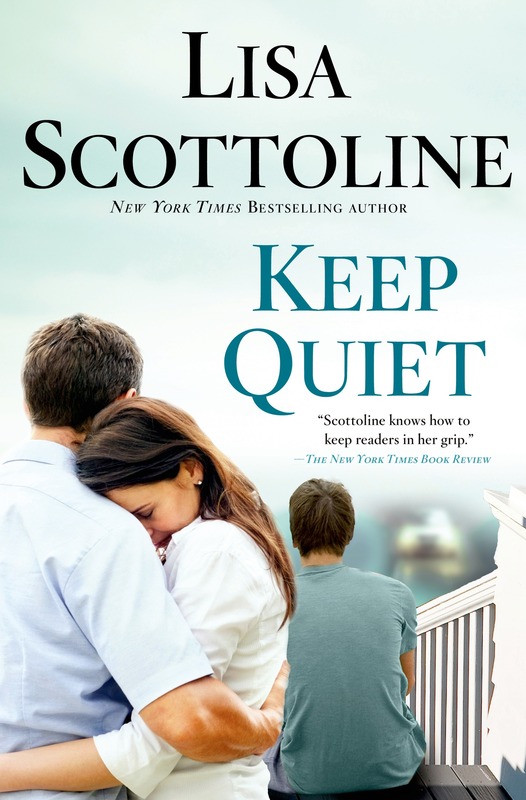 Keep quiet / Lisa Scottoline. by Scottoline, Lisa, 1955- [author.]. Edition: Large print edition.Material type: Book; Literary form: Fiction Availability: Items available for loan: Pātea LibraryPlus [Call number: SCOT] (1), Waverley LibraryPlus [Call number: SCOT] (1). Now that I've found you / Ciara Geraghty. Material type: Book; Format: print ; Literary form: Novels Publisher: London : Hodder & Stoughton, 2014Availability: Items available for loan: Stratford [Call number: GER] (1). Edition: First edition.Material type: Book; Format: regular print ; Literary form: Novels ; Audience: Adult; Online access: Cover image Availability: Items available for loan: Hāwera LibraryPlus [Call number: SCOT] (1). I'll find you / Nancy Bush. by Bush, Nancy, 1953- [author.]. Material type: Book; Format: print ; Literary form: Not fiction Publisher: New York : Zebra Books, 2014Availability: Items available for loan: Hāwera LibraryPlus [Call number: BUSH] (1). Love or duty / Rosie Harris. by Harris, Rosie, 1925- [author.]. Edition: First world edition.Material type: Book; Format: print ; Literary form: Fiction ; Audience: Adult; Availability: Items available for loan: Hāwera LibraryPlus [Call number: HARR] (1). Please don't leave me here / Tania Chandler. Material type: Book; Format: print ; Literary form: Novels Other title: Please do not leave me here.Availability: Items available for loan: Eltham LibraryPlus [Call number: CHAN] (1). Paris nocturne / Patrick Modiano ; translated from the French by Phoebe Weston-Evans. by Modiano, Patrick, 1945- [author.] | Weston-Evans, Phoebe [translator.]. Material type: Book; Format: print ; Literary form: Fiction ; Audience: Adult; Publisher: Melbourne : Scoresby : Text Publishing Company ; Penguin Books Australia [Distributor] Availability: Items available for loan: Hāwera LibraryPlus [Call number: MODI] (1). Julia's daughters / Colleen Faulkner. Material type: Book; Format: print ; Literary form: Fiction Publisher: New York, NY : Kensington Books, Availability: Items available for loan: Eltham LibraryPlus [Call number: FAUL] (1). The enemy inside [sound recording] : [a Paul Madriani novel] / Steve Martini. by Martini, Steve, 1946- [author.] | Woren, Dan [narrator.]. Edition: Unabridged.Material type: Sound; Literary form: fiction ; Audience: Adult; Publisher: [New York] : Harper Audio, p2015Online access: View cover art Availability: Items available for loan: Hāwera LibraryPlus [Call number: MART] (1). Five rivers met on a wooded plain / Barney Norris. by Norris, Barney, 1987- [author.]. Material type: Book; Format: print ; Literary form: Fiction Publisher: London : Doubleday, 2016Other title: 5 rivers met on a wooded plain.Availability: Items available for loan: Hāwera LibraryPlus [Call number: NORR] (1). Deadly memories / Joanne Fluke. by Fluke, Joanne, 1943- [author.]. Edition: First Kensington mass market edition.Material type: Book; Format: print ; Literary form: Not fiction Availability: Items available for loan: Hāwera LibraryPlus [Call number: FLUK] (1), Kaponga LibraryPlus [Call number: FLUK] (1). Since you've been gone / Christa Allan. Material type: Book; Format: print ; Literary form: Not fiction Availability: Items available for loan: Hāwera LibraryPlus [Call number: ALLA] (1). The perfect girl / Gilly MacMillan. Edition: Large print edition.Material type: Book; Literary form: Fiction Availability: Items available for loan: Eltham LibraryPlus [Call number: MacMILL] (1). Jean harley was here / Heather Taylor Johnson. by Johnson, Heather Taylor [author.]. Material type: Book; Format: print ; Literary form: Novels Availability: Items available for loan: Hāwera LibraryPlus [Call number: JOHN] (1), Ōpūnake LibraryPlus [Call number: JOHN] (1). The missing attorney / Mary Wickizer Burgess. by Burgess, Mary Wickizer, 1938- [author.]. Edition: Large print edition.Material type: Book; Literary form: Novels Publisher: Leicester : Thorpe, 2017Availability: Items available for loan: Stratford [Call number: BUR] (1). A stranger in the house / Shari Lapena. by Lapeña, Shari, 1960- [author.]. Material type: Book; Format: print ; Literary form: Fiction Availability: Items available for loan: Hāwera LibraryPlus [Call number: LAPE] (1), Stratford [Call number: LAP] (1).